In the U.S. she has performed with the orchestras of Saint Louis, Seattle, Baltimore, Florida, Duluth, Roanoke among numerous others. Around the world, she has performed as soloist with the Hong Kong Philharmonic, Taiwan Symphony, KBS Symphony and Orquest Sinfonica in Caracas, Venezuela. Highlights of her solo appearances include performances with Leonard Slatkin and the Saint Louis Symphony on their tour to the Far East and performances with the Washington based Handel Festival Orchestra on their European tour. She also played with the Handel Festival Orchestra at the Kennedy Center in Washington, and was re-invited to perform on their second tour to Europe. Sung-Ju lee has given many solo recitals and residencies in the cities and colleges throughout the US and the Far East, revealing an artist of depth, individuality and distinction. She has played solo recitals in New York, Miami, Los Angeles, Boston, Washington D.C., Hong Kong, Taipei, Seoul and many other cities. Some of her residencies and master classes were given at th Universities of Arizona, Louisiana, Iowa, West Texas, Idaho, San Diego, and Stanford and Dartmouth and Amherst Colleges. In 1994, Sung-Ju Lee was appointed as a professor at the prestigious Korean National University of Arts in Seoul, Korea. Since moving to Korea, she has been actively performing in her native country. Some of her most exciting performances include a nine-city national tour with all Brahms programs, and "Joy of Music" concert series. She has recently performed as a soloist with the Hungarian State Symphony, Pusan Philharmonic, KBS Symphony and the Suwon Philharmonic. 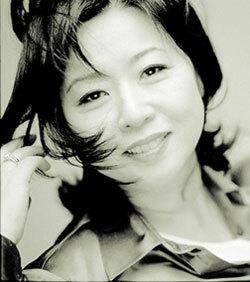 Sung-Ju Lee made her recording debut in 1986 with two Schumann Sonatas, released by the Musical Heritage Society. She also made her recording "Popular Suites and Kreisler" (1992, Musical Heritage Society), and "Bach's Unaccompanied Sonatas and Partitas" (1998, Samsung Music). From June 1st 2006, Miss Sung-Ju Lee is also represented by Love²Arts.